Some of the nation’s brightest young stars are getting ready for the start of the Junior Greco Roman World Team Trials today in Las Vegas. This is an important tournament for several reasons. First, it will further provide a glimpse at the talented wrestlers who may one day (soon) compete for spots on the Senior National team. 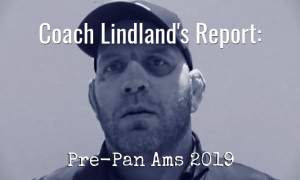 Ushering that next generation in is always important but even more so currently, as it has become a stated goal of US National Team Head Coach Matt Lindland. 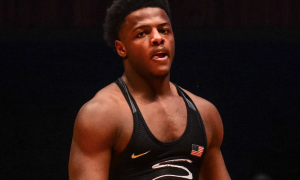 Secondly, the Junior Greco Roman World Team Trials is packed with names you may have heard of: Kamal Bey, Jesse Porter, and Jake Allar at 74 kg; Dack Punke (50 kg); Taylor LaMont (60 kg); and Nick Boykin (120 kg). But there are plenty more where they came from. 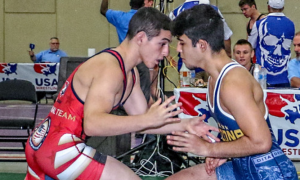 Finally, this event also represents an important step for many Juniors who are just beginning to consider Greco as a potential landing spot going forward. 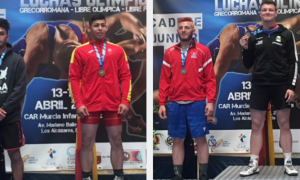 While a good number of the competitors in the Junior Greco Roman World Team Trials have already logged some valuable experience in at other events throughout their youth, the age bracket in which this tournament is competed at can be seen as a turning point. 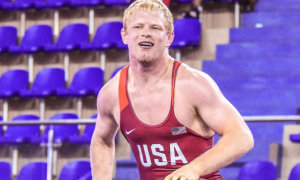 It is not out of the ordinary for a strong placing at an event like this to serve as a source of inspiration for some to start taking Greco more seriously. Which is what the national program as a whole is looking for. 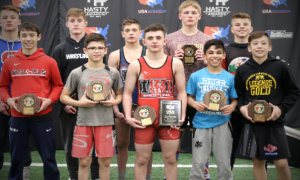 The champions in each weight class will become part of the US team that will travel to Macon, France later on this summer. If you are interested in catching the action for yourself, FloWrestling will be streaming live starting at 12:00pm EST/9:00am PT. There are literally dozens of potential match-ups that could deliver compelling theater, so if you have the time, you’re not going to want to miss out. Also, check back here for eventual summaries and other bits of coverage of the Junior Greco Roman World Team Trials moving forward.